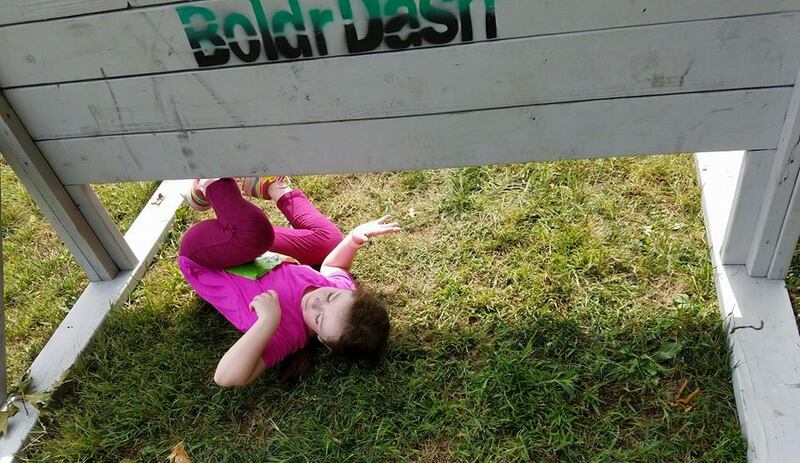 This was to be the second BoldrDash Kids and Family race that my family did, and it would be held at Rocky Point, Rhode Island, the site where an amusement park used to be. I had been there several times as a kid myself, my favorite being the Corkscrew, a roller coaster that lived up to its name. There was no sign of the amusement park now; it was all covered in grass and all the of the rides and buildings were gone. 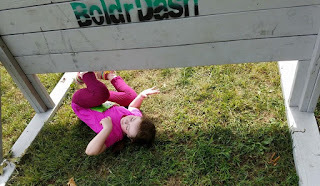 Instead, there were lots of BoldrDash obstacles. The course at Rocky Point was a standard three miles or so, winding around a large field but also along the beach for a portion. The family portion would stick primarily to the field with a very short section through the trees. 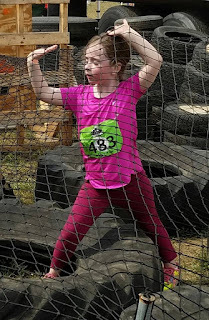 At the previous event, my son was very young, and fell right at the starting line, with hordes of other racers running past him while I shielded him on the ground, while my daughter ran forward with her cousin. 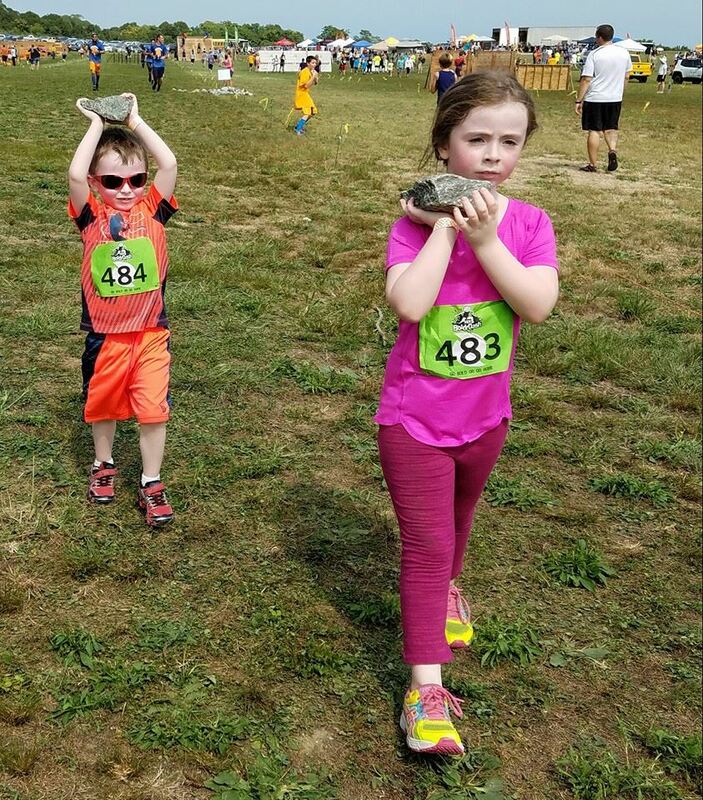 As a result, I ended up carrying him for most of the 1.5 mile race. This time, however, he was more up to the challenge, and did not fall at the beginning. 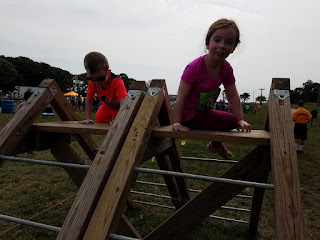 In fact, both kids were much more willing to tackle obstacles that they had balked as previously, which means both that they're getting more mature and building confidence. 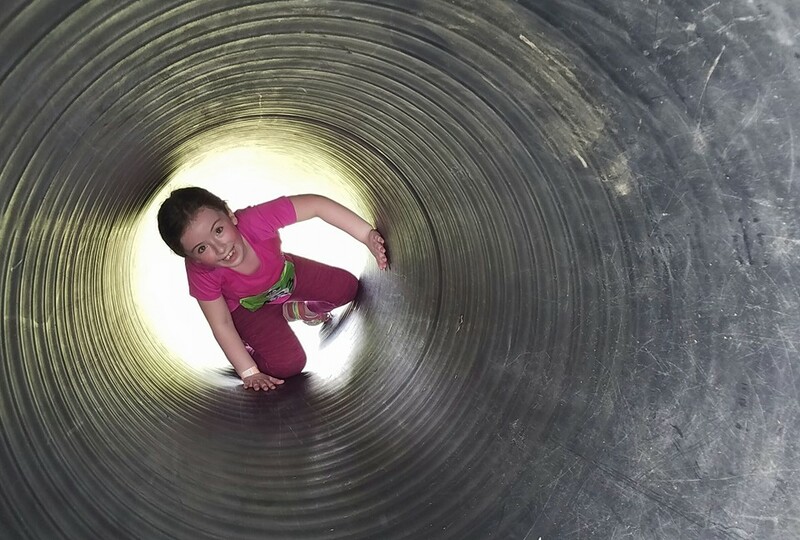 Getting them to go through the tunnels was never an issue, however. 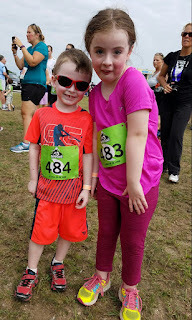 The trouble started when my son was getting thirsty, and since he had a fixation on drinking from straws at the time, he refused to drink it from a cup, despite the race organizers having plenty available. 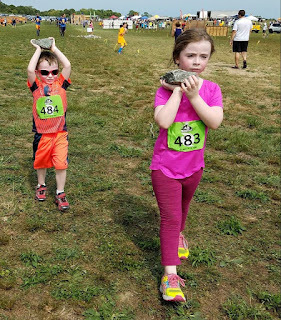 As the race went on, he got more and more upset and agitated, and despite my best attempts to get him to drink some water from a cup, he was completely melting down, and bowed out of the race within sight of the finish line. Lesson learned; next time I'll bring my hydration pack regardless of how short the race might be. 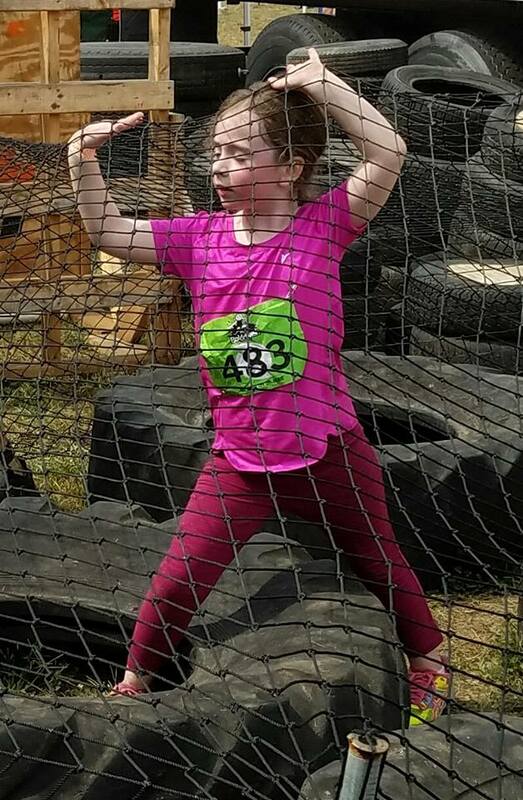 My daughter was getting tired and wanted to skip obstacles towards the end, but she still was tough do several before it was over. Like her previous race, we ran through the finish line together and earned her another medal. On to the next one!